As Veterans Day fast approaches on November 11, DeMolay International has taken on a rather simple but very meaningful project to support Veterans throughout the world. The 7th Preceptor Lapel Pin is targeted toward fulfilling our promise to Veterans for their service and sacrifice and to fulfill our seventh Cardinal Virtue – Patriotism. 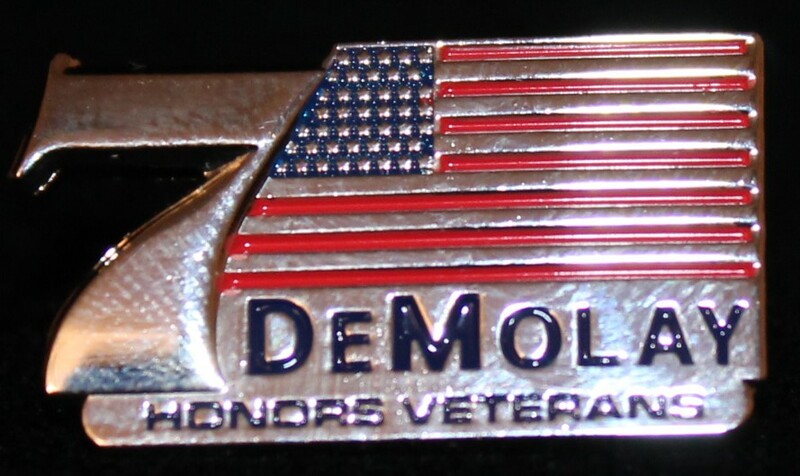 Help DeMolay Honor Veterans and purchase your 7th Preceptor Lapel Pin today! $1.00 of every pin sold will be donated to the Wounded Warrior Project.